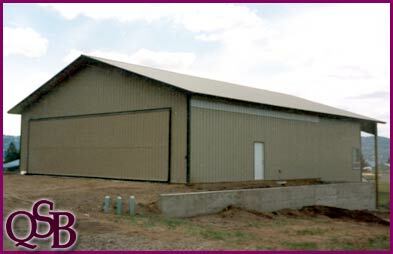 Pole buildings are quickly becoming the most popular style of airplane & helicopter hangers. With a bi-folding hanger door you can easily get enough clearance to safely secure & store your valuable airplane, crop-duster, helicopter or even ultra-light. Post-frame airplane hangers can be custom built and designed to work with your plane and fit your specific needs. Give us a call or email us for a hassle free consultation and building Quote.